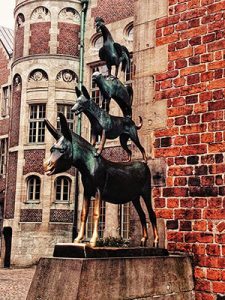 As I stood in front of a bronze statue of a rooster on top of a cat, on top of a dog, on top of a donkey outside of the Town Hall in Bremen, I could almost hear my great-grandfather providing sound effects – crowing, barking and meowing – like he used to when I was a child, making for a more lively reading of The Bremen Town Musicians. Today, there are multiple depictions of the Brothers Grimm fairy tale throughout the city in northwest Germany, but the most iconic remains this statue by Gerhard Marcks, which attracts nearly 40 million visitors every year. Since, rumour has it, touching the donkey is believed to make wishes come true, I quickly place my hands on the front hooves like many before me – even family members before me – before crossing the square to The Bremen Roland statue, which together with Bremen’s Town Hall, makes up a UNESECO World Heritage Site. 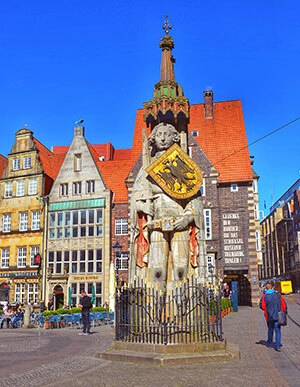 Although Bremen, a city with over 1,200 years of history to explore, may fly under the radar for Canadians heading to popular destinations like Berlin and Munich, it perfectly encapsulates just how much there is to discover across Germany. 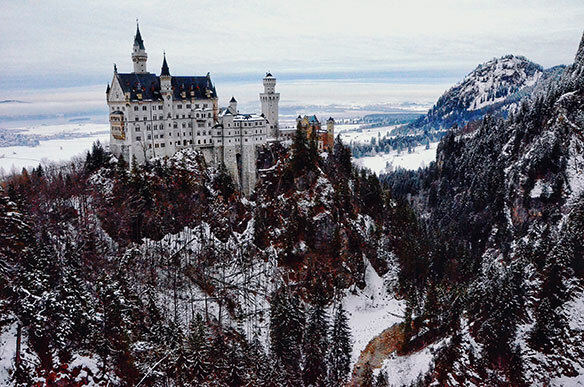 “Germany’s high-profile sightseeing destinations are a perennial reason for travel to Germany. From Hamburg’s Elbphilharmonie in the north, to the Zeche Zollverein in the Ruhr region, over to the Brandenburg Gate or to Neuschwanstein Castle and the Castle Hohenzollern – Germany has numerous remarkable landmarks compared to many competitors,” said Petra Hedorfer, Chief Executive Officer of the German National Tourist Board. In its promotional efforts for 2019, the GNTB is focusing on the variety of unforgettable travel experiences that await visitors across its sixteen federal states through five main themes. Germany’s second largest city – and the country’s biggest port – is unlike anywhere else in the nation. 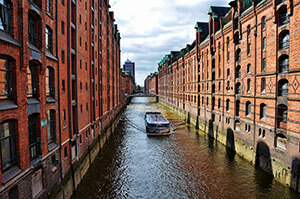 Take, for example, the Speicherstadt district, which features the world’s largest contiguous warehouse complex set along loading canals. The historic yet hip city has ties to The Beatles, a thriving arts, food and nightlife scene, and is home to attractions like Miniatur Wunderland, a world-famous model train and miniature exhibition, and even its own red light district. 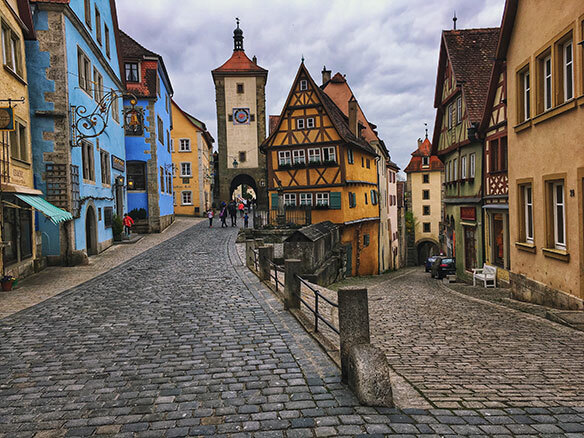 A visit to Rothenburg ob der Tauber is like taking a trip back in time to the Middle Ages. The postcard-perfect medieval town is part of the popular Romantic Road, a famous and scenic route in Germany. As a quintessentially German town, the charming destination is often featured on the cover of brochures and promotional materials for Germany. Although Nuremberg is renowned for its Christmas market, the second largest city of Bavaria is worth a visit year-round. The city’s most famous landmark is Kaiserburg Castle, which is situated on the top of a hill, and offers panoramic views of the area. Nuremberg is also home to the Nuremberg sausage, a hazelnut schnapps and a specialty bottom-fermented red beer. The historic location is also a place where visitors are able to learn about the Second World War such as at the documentation centre of the former Nazi Party Rally Grounds. Dresden is a blend of old and new, as the capital of the eastern German state of Saxony experienced remarkable growth and renaissance since the fall of the Berlin Wall. Located along the River Elbe near the Czech Republic border, Dresden is close to the natural wonders of Bastei and the Elbe Sandstone Mountains. Another top draw is Moritzburg Palace, the former hunting lodge and summer residence of Augustus the Strong, which is set on an island at the centre of a lake. There are also plenty of nearby vineyards to visit – and taste.